Cassandra Hocheit is a Belgian fashion designer who graduated from HELMo Mode in Liège in 2016. Directly after graduating, she started to create her own brand. At the same time, Cassandra met Alice On The Roof with whom she collaborated, which allowed her to increase her visibility. 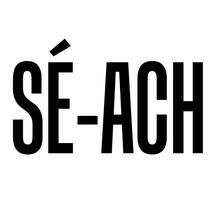 Her brand will be called SE-ACH, to remind of her initials. Cassandra would define the SE-ACH woman as a free and self-confident woman.